1 The screen really is not very good. 2 KnockOn remains a major competitive advantage. 3 Battery life is kind of sucky. 4 Rear control buttons are for winners. 6 Note 4 comparisons are inevitable. 7 Among the "big three" Android OEMs, this is still the phone to get. I wrote a review of the G3 just about two months ago, and at the time, I really enjoyed it. While the model I was provided was designed for Korea, it worked on AT&T's LTE network and generally provided a steady wireless experience. I found Wi-Fi connectivity was a bit spotty, though, and there were occasional network hiccups that are to be expected of a piece of hardware not specifically certified for a particular carrier. Shortly after our review, I received an AT&T-branded LG G3 to try out, and I've been using it as my daily driver for around a month now. 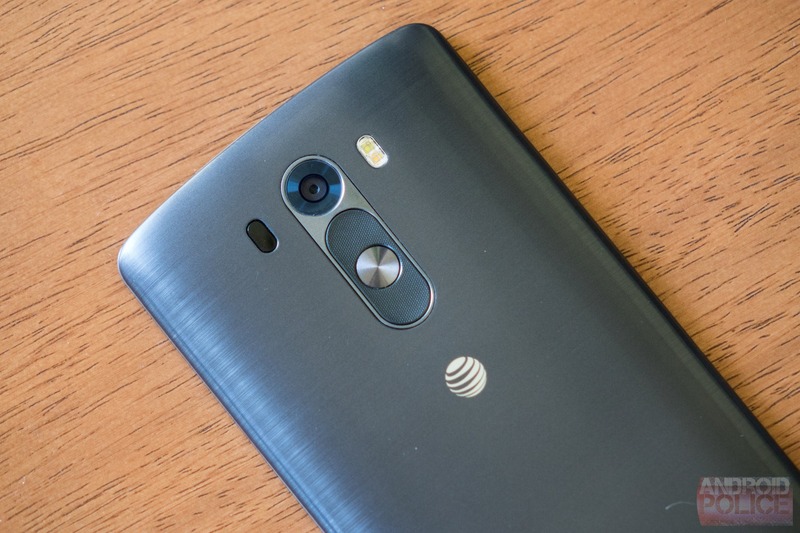 Given that this phone is certified to run on AT&T's network and for use in the US generally, I'm writing this piece as both an update and a sort of "more thoughts" post now that I've had a lot of time with the G3. The screen really is not very good. The largest proverbial thorn in the G3's side is undoubtedly the QHD display. In the race to be the first major OEM to release a QHD smartphone, LG shipped a panel that is, frankly, not very good. Viewing angles are poor, brightness in sunlight (especially with fingerprint buildup) is lamentable, and colors are flat-out flat. However, that LG managed to cram a 5.5" ultra high-res display into such a comparatively small package remains impressive. I love having 5.5" of screen when I'm reading an article or thumbing through dozens of emails, because I'm able to accommodate more information without sacrificing readability. A big screen is also simply easier to type accurately on - banging out a quick reply to a text or even a few sentences in an email is noticeably less difficult than on my Galaxy S5. Still, the dimness of the display rears its ugly head too often. Living in sunny Southern California, I find using the G3 outdoors to be a real chore, especially when the auto-brightness doesn't want to ramp up far or quickly enough to counteract those substantial solar forces. Combined with its propensity for showing fingerprints, mediocre contrast, and the aforementioned lackluster viewing angles, the G3's screen is an obvious and sad case of technology for technology's sake. QHD screens aren't completely without merit, but the benefits the G3's provides in no way come close to outweighing the drawbacks. 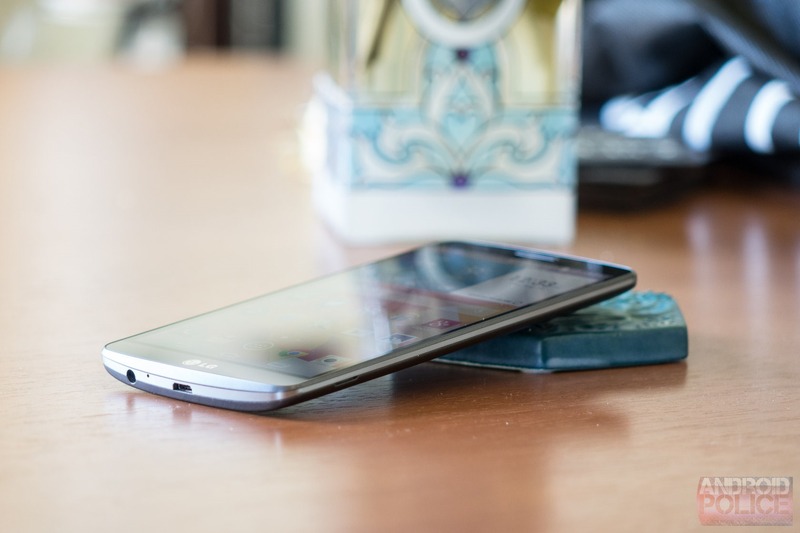 Side by side with the Galaxy S5, the G3 simply can't compete - Samsung's Super AMOLED is a window into a brighter, more vivid, more enjoyable world. KnockOn remains a major competitive advantage. While HTC has mimicked KnockOn on its own devices of late, LG was the first major OEM to the double-tap power-on party, and KnockOn seems to have noticeably improved from the implementation on the G3. I'm always using it - both to turn the display on and off. 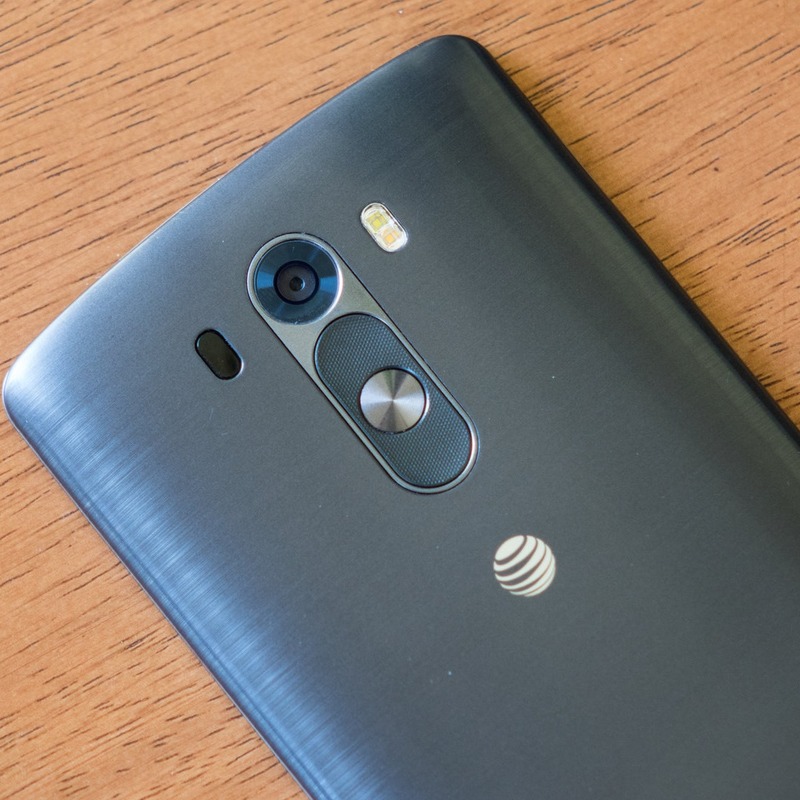 In my review, I still felt burned by last year's version on the G2, and had a hard time seeing the light. Going to the lockscreen, LG's standard Knock-On wake-up feature is still here, and I don't find it works much more reliably than it did on the G2. Given the easier access to the power button on the G3, I've taken to using than more often than not, because Knock-On just isn't there in terms of 100% reliability, which is kind of something you need for a feature like that. That was a stupid and wrong thing to say and I feel stupid and wrong for saying it. KnockOn has become all but indispensible to me, and every time I pick up the Galaxy S5 it seems like I'm trying to double-tap it awake. 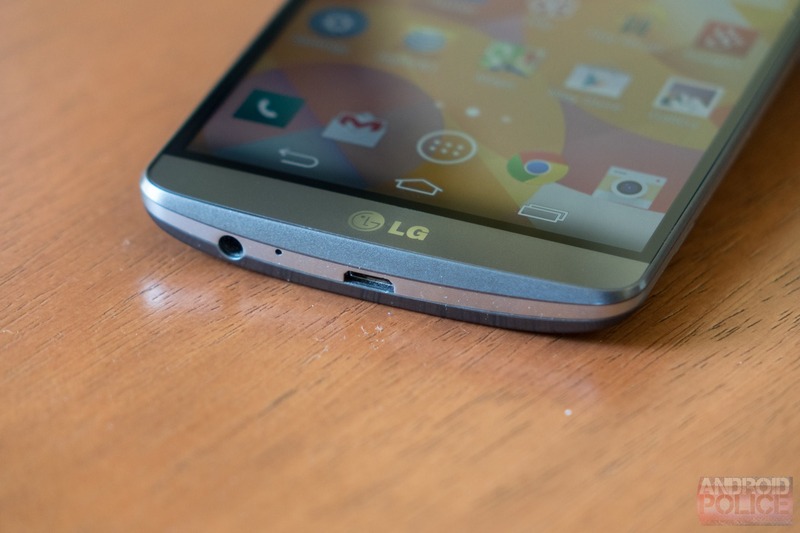 KnockOn is awesome and I can only hope LG continues to refine it. Battery life is kind of sucky. My Korean G3 review unit seemed to get pretty great battery life, though I'm fully aware many reviews at the time stated otherwise. When I received my AT&T G3, things suddenly seemed to change for me - I regularly find myself struggling to make it through a day with the G3, especially if I'm turning the screen on a lot. That is to say, in-use power consumption seems abnormally high. No less than 5 times in the last two weeks have I found myself under 10% by early evening, and then struggling to conserve that remaining power until I make it back to the wall-mounted electron teat. Even more frustrating is the fact that the G3 doesn't support Qualcomm's QuickCharge 2.0 technology, though it's still reasonably quick at 9W max with the included 2A charger (vs 18W with QuickCharge 2.0 and 10.6W on an American Galaxy S5). That said, your mileage may vary - battery life is an incredibly subjective experience and I really can't be definitive about what's making my G3 drain so quickly (nothing in the usage stats stands out). I will say my Galaxy S5 gets noticeably better battery life, though, and I do miss that. Rear control buttons are for winners. The G3's rear-mounted power and volume buttons have been greatly improved compared to those on the G2, with much more tactile feel and clicky-ness. Honestly, I don't hate side-mounted power buttons and volume rockers, I just find LG's idea a bit more natural when I consider how I hold my phone (eg, with my index finger against the back). 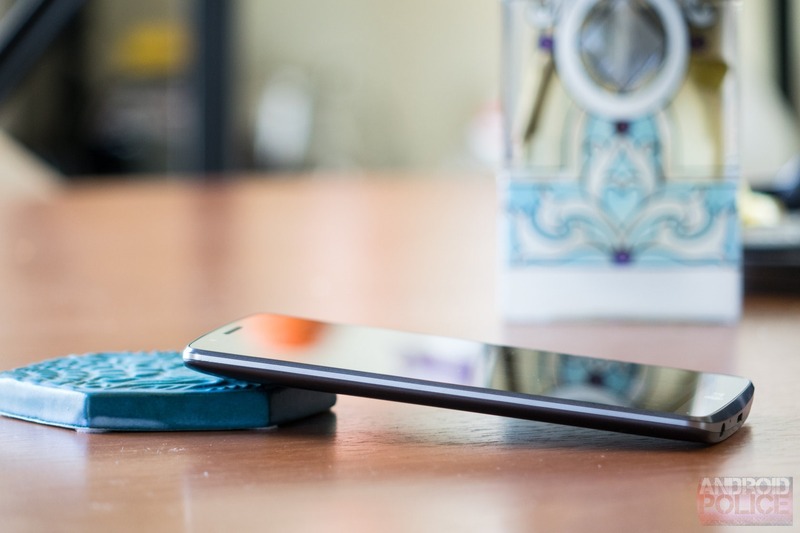 I think they're also easier to reach on a large phone, making a drop less likely. I doubt we'll be seeing many OEMs following LG's lead here, though - it's such a distinct design decision that anyone who dared mimic it would be deemed a copycat of the highest order, not that I'd mind particularly. While not quite Nexus 5-fast all the time, the G3 is basically as quick as the One M8 and, therefore, very noticeably faster than the Galaxy S5. Using the S5 feels like taking a trip in the performance time machine, while the G3 happily zips along through most anything I throw at it. Homescreen responsiveness is still a bit lower than I'd like sometimes, and navigating the settings menus can be sluggish, too; however, overall the G3 is a fast phone, following in footsteps of the G2. With Snapdragon 805 devices on the horizon, it's entirely possible, even likely, our definition of "fast" will again get thrown out the window. After all, the Snapdragon 801 is really just an 800 in a fancy suit, and that chip's been around over a year at this point. 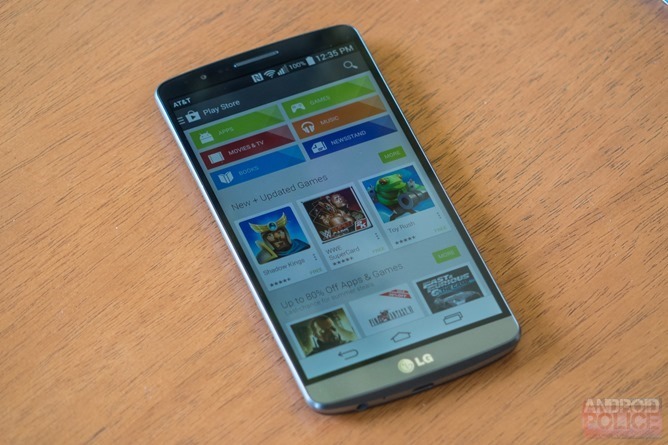 Still, the G3 is plenty quick in today's smartphone market, and easily stands up to the competition. Note 4 comparisons are inevitable. 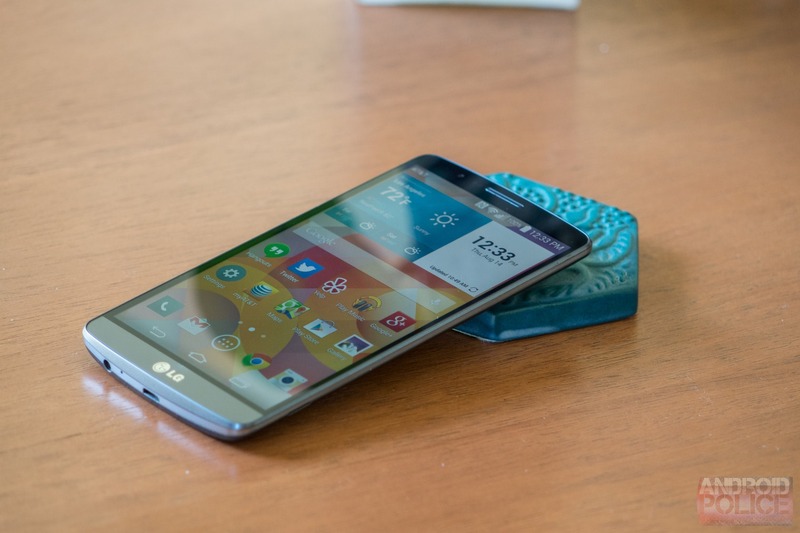 The G3, from an enthusiast's perspective, is a phone that competes with the Galaxy S5 and HTC One M8. However, it's wider than those devices, heavier than one, and has a significant screen size advantage over both. 5.5" is closer to 5.7" than it is to 5.1". With the Note 4 allegedly packing a 5.7" QHD display and some fairly narrow-looking bezels, comparisons are all but guaranteed. While a G Pro 3 may pop up at some point, the G Pro 2 was only unveiled back in February, so it seems unlikely LG will be fielding a more direct supersized competitor to go up against the Note series, apart from its weirdly detuned G Vista. I know that for me, as a consumer, the Note 4 and G3 are basically phones I would cross-shop. Given Samsung's industry-leading display technology and a solid chance it will feature an updated Snapdragon 805 chipset, the G3 simply may not stand up to the Note 4. Granted, for many customers, these phones won't be direct competitors, if only because cost will set them apart considerably. In the US, the Note 3 generally retailed for $700 off-contract - expect the Note 4 to go for at least that much - while the G3 hit the streets at under $600. By the time the Note 4 is available, the G3's price will likely fall a bit further yet. Among the "big three" Android OEMs, this is still the phone to get. Samsung and HTC are LG's primary competitors in the high-end Android phone space at this point. 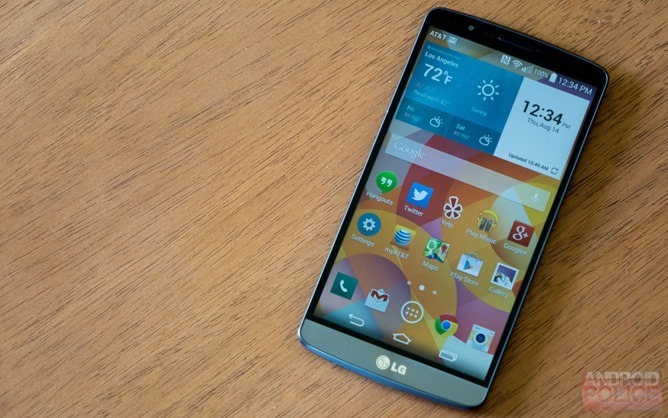 And I'd say between the S5, M8, and G3, LG comes out on top. The G3 has speed, a great camera, a big screen, and doesn't even give up the microSD card or removable battery to get to a very competitive price point. Its powerful speaker, handy rear control buttons, and KnockOn are icing on the cake. If you're looking outside those big three, the answer, I'd argue, is still pretty clear. OnePlus is having growing pains on the hardware and software side (despite making a great first product), Sony seems a bit lost right now, and Motorola hasn't unveiled any truly new hardware since its Lenovo acquisition. Like many of you, I imagine, I'm personally waiting to pull the trigger on my next smartphone until the holiday season, and frankly, am holding out hope for what seems like an increasingly-likely Nexus. The Note 4, too, has my interest thoroughly piqued, and who knows what HTC's working on for its Q4 plans. In the here and now, though, I think LG has the class-leading product from a holistic perspective, and that's legitimately impressive for a company that started with phones like the G2X.